We were sad to hear that Today Show’s Meredith Vieira will be leaving the popular morning television show in June to spend more time with her family. Her last on air appearance is scheduled for June 8th. We were honored to be featured on the Today Show with Al Roker and “Mr. Fix-It” himself, Lou Manfredini. 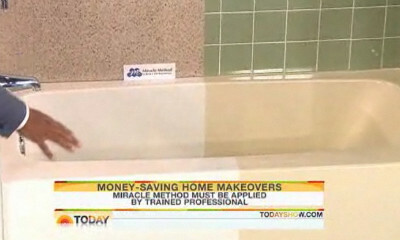 Miracle Method was featured on a segment called Money-Saving Home Makeovers where Lou and Al talked about how cost-effective Miracle Method was for your home improvement makeovers. Watch a clip of the segment on miraclemethod.com and see for yourself why Miracle Method is the right choice for your home repairs. 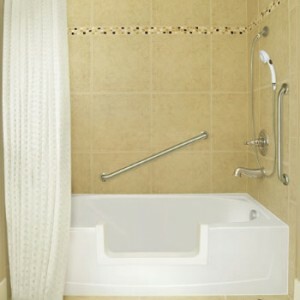 Bathtub refinishing requires use of industrial strength chemical and solvents. Refinishing bathtubs are, in much the same way as we discuss refinishing countertops in a previous post, jobs best left to professionals. 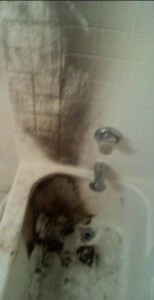 With that in mind, DIY refinishing for a bathtub is almost always a poor choice. Outside the soul merit that it might be cheaper than a professionally done refinishing, there are many detriments. 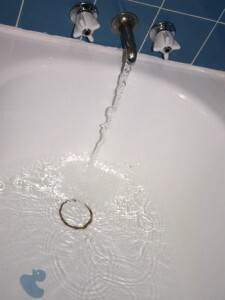 In order to refinish a bathtub, you must first fully clean and remove any build-up of mineral deposits, soap scum, body oils, etc., and utilize powerful industrial-strength chemicals that require, at the very least, rubber gloves, goggles, and a breathing respirator, to ready the tub before any refinishing. 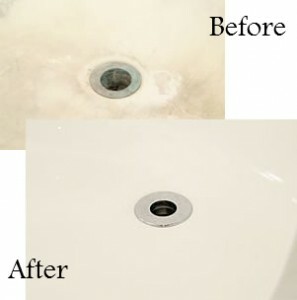 Only after the tub is cleaned and any damage repaired, can you begin refinishing by bonding and priming the entirety of the tub and then applying the topcoat. If any one of these steps is lax or missing, the refinishing job might as well be scrapped. Without a proven bonding agent to fuse the new finish onto the old surface, you are really just doing a temporary “paint” job. Good refinishing requires an effective bonding agent and hi tech acrylic resins to provide the best results. If you’re thinking of taking on a do it yourself project, make the right choice and find a Miracle Method location near you. You can also call our toll free number, 855-212-7337, to reach the nearest Miracle Method professional. 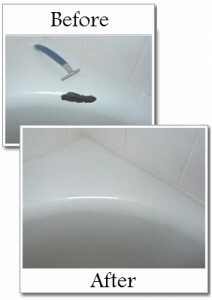 Burnt bathtub is no match for Miracle Method refinishing! This amazing story about bathtub refinishing came from the Miracle Method in Fresno, CA. 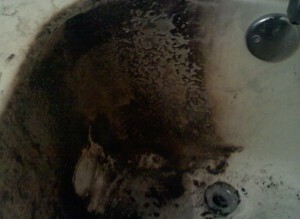 Someone’s shirt caught on fire, and they threw their flaming shirt into their empty fiberglass bathtub. That was a big mistake! Fiberglass is not fireproof and burns with a steady, if not quick consistency. This bathtub was no exception to this rule. 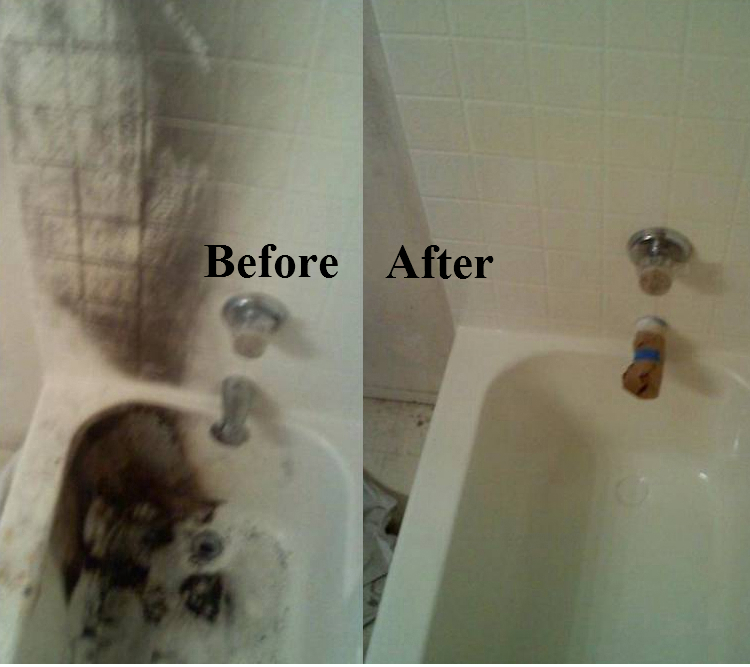 Smoke and fire scorched the tub, causing serious burn damage to the front half of it, particularly on the bottom left of the tub, and smoke damage rose up and over from the left side of the bathroom’s ceramic tile wall. Fortunately, we’re called Miracle Method for a reason. Despite the dramatic damage done to tub and tile, we were able to repair, clean and refinish these areas, transforming them, making them nice and white and just like new, and adding extra life to the tub and tile. Not a miracle, just Miracle Method! If you’re interested in getting your bathtub, ceramic tile, or kitchen countertop refinished, than give us a call. Find a Miracle Method location in your area or call us at 855-212-7337. You’ve seen what we did in Fresno, now imagine what we can do for you. Contact us today!